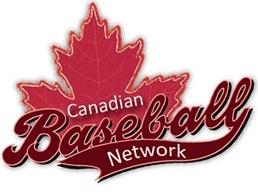 Editor's note: I wrote the following article on Calgarian Chris Reitsma, and it's been published on the Canadian Baseball Network. Chris Reitsma is an accomplished baseball player, from being the first Canadian ever drafted in the first round to pitching for Team Canada in the 2008 Olympics. In between he has had many other memorable moments. But at times it seemed like powers were conspiring against him to prevent his dream of playing in the bigs a reality. Prior to making the majors he broke his pitching arm not once, not twice, but three times, as well as suffering breaks to his leg, collarbone, fingers and toes. His career had shot off to a promising start when he was named the Red Sox minor league pitcher of the year at the end of the 1996 season, months after being drafted by Boston in June. But the following season he fractured his elbow and had many ups and downs throughout the minors before finally winning a starting job with the Cincinnati Reds in 2001. In spite of all the setbacks he had suffered, Reitsma (Calgary, Alta.) said that “deep down I always knew I could pitch in the big leagues”, and he was on the verge of proving that. But the night before his first major league start, it appeared as this moment would be delayed, as he came down with a bad case of food poisoning. In retrospect, this may have been a blessing in disguise as it gave him “a reprieve from the nervousness before the game” added Reitsma. He managed to take the mound and delivered a quality start, pitching six strong innings while only allowing two runs, although he didn’t get a decision. He’d have to wait for his next start for that. And that happened to fall on a very special day, as it was against the Pirates on April 9th 2001, and the first ball game ever played at PNC Park. He spoiled this special opening day celebration by holding the Pirate offense to two runs, for his first major league win. Less than a month later came another memorable moment. Just a rookie with five career starts he was matched up against Randy Johnson of the Arizona Diamondbacks on May 8. Many baseball fans recall that on this night Johnson was spectacular in tying a major league record by striking out 20 batters in nine innings. What most fans don’t realize is that in spite of this, Johnson did not get the win, because Reitsma matched Johnson in the runs column, each only allowing one run and forcing the game to be decided by the bullpen in extra innings. 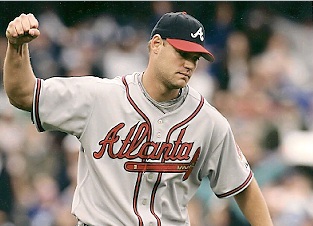 He was traded to Atlanta prior to the 2004 season and was a big part of the bullpen of the Braves team that won the NL East in 2004 and 2005. His success with Atlanta led to him being named to the major league All Star team that travelled to Japan for a series of exhibition games in the winter of 2004. One of his most disappointing moments came in game four of the 2005 NLDS. He was watching from the bullpen as the Braves took a commanding 6-1 lead against the Astros in the eight inning. But he didn’t get a chance to get into the game, until the bullpen had blown the lead, and he pitched a scoreless 10th and 11th in a game the Braves lost in 18 innings. If only he had been brought in earlier, Atlanta might have won a pennant that season. He became a free agent after 2006 season and signed with the Seattle Mariners. He had just suffered his fourth elbow surgery and wasn’t sure how well it would hold up. He appeared in 16 games, before first being placed on the disabled list May 19 with inflammation on his right elbow. After being activated, he remained on the roster for a week before needing to return to the DL again on June 11th. He remained there until July 6th, and then pitched most of the month until returning to the DL for a third time on July 30th. By spring training of 2008 his arm was still not back at full strength. Although he was given the opportunity to stay with the Mariners organization until his arm was ready he decided it was time to retire. Reitsma says that he was glad that “I went on my own terms” and said that “I gave it my all and have no regrets”. But as faith would have it, this would not be the end of Reitsma’s career. While driving back home to Calgary from Arizona, he received a phone call from Greg Hamilton (Ottawa, Ont.) asking if he’d be interested in playing for Team Canada in the upcoming Olympics. It was a chance that he couldn’t pass up, and as a veteran pitcher, he was one of the key members of that squad. He hasn’t pitched competitively since the Olympics, but that doesn’t mean he hasn’t stayed involved in the game that has always been a part of his life. He loves working with kids, and has been instructing players at the high school level for the past three years. “I like to work with them and helping them make baseball a priority” said Reitsma. He is also excited to now be the pitching coach for the Canadian Junior National Team, which he himself played on as a 17 year old. On their recent trip to Florida he saw firsthand some of the top Canadian pitching prospects, and is sure some of them will go on to have successful major league careers. Chris Reitsma worked hard to get to the majors and is now working just as hard to ensure the next generation of Canadian ball players can fulfill their dreams.Chris Reitsma is an accomplished baseball player, from being the first Canadian ever drafted in the first round to pitching for Team Canada in the 2008 Olympics. In between he has had many other memorable moments. But at times it seemed like powers were conspiring against him to prevent his dream of playing in the bigs a reality. Prior to making the majors he broke his pitching arm not once, not twice, but three times, as well as suffering breaks to his leg, collarbone, fingers and toes. Chris Reitsma worked hard to get to the majors and is now working just as hard to ensure the next generation of Canadian ball players can fulfill their dreams.